Fabulous fun for the family this school holidays! Find activities that the whole family genuinely loves in BunGeo. Check out Australia’s premier dolphin experience, seek a thrill on a zip line, eat a crunchy Donnybrook apple while playing at Australia’s biggest playground, meet quirky characters including gnomes, frogs and whimsical electrical boxes, have a selfie with a kangaroo, play on a farm, decorate gingerbread, taste cheese, climb the big orange and so much more. 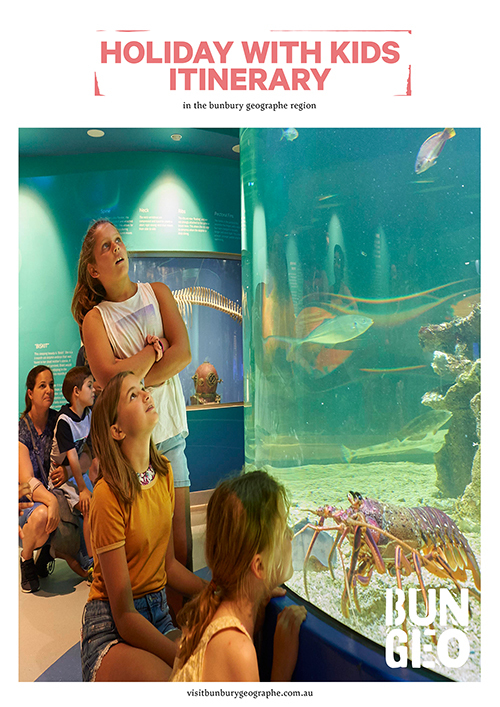 Download the guide for travel inspiration and to find cool activities and family-friendly venues. 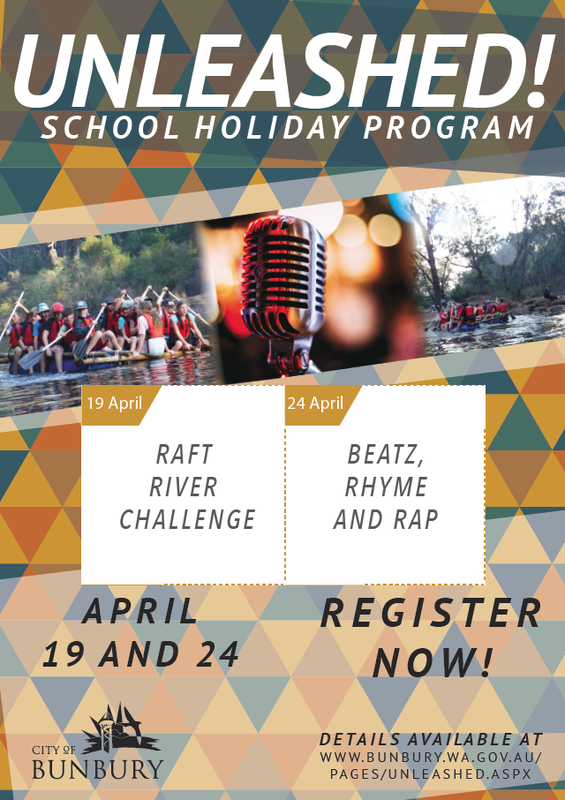 This school holidays there are also loads of events and activities on offer, including SHIFT 2019 Youth Festival, Optus Volley by the Bay, Donnybrook Apple Festival, Grandfamilies Day @ Bunbury Wildlife Park, BRAG Street Art Tour with Andrew Frazer, National Hansa Sailing Championships, Bunbury Show, Myalup Easter Fair, Harvey Agricultural Show, Stirling Street Arts Centre School Holiday Workshops.